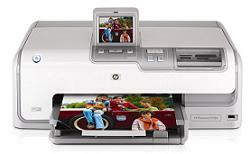 HP Photosmart D7360 Printer Software and Driver Downloads for Operating Systems. This download includes the HP Photosmart D7360 and Deskjet Software Suite (enhanced imaging features and product functionality) and Driver. HP Photosmart D7360 Print and Scan Doctor Utility – Download (5.8MB) for Windows systems.